This is a tear drop shape, that is recommended to be used damp and used in a bouncing, stippling motion to blend in foundation or concealer. It can also be used to blend in most cream products. This is so soft and doubles in size when damp. And really does blend in foundation seamlessly and easily. Once it's damp it does have a really good bouncing action. These are also highly recommended for people with dry skin to add extra moisture to foundations and give a dewy effect to the skin. And we all know how I love dewy and glowy so it was only a matter of time before I made the investment. And I'm so glad I did, I'm really happy with it! Although I don't like using this to blend in concealer, because I find it sheers it out a bit too much, but a plus point is when I do use it for concealer it does stop it from creasing under my eyes. Now the first massive thing this has over the Beauty Blender is the price - this is significantly cheaper. This one also has a flat edge that is designed to fit round all the contours of the face. 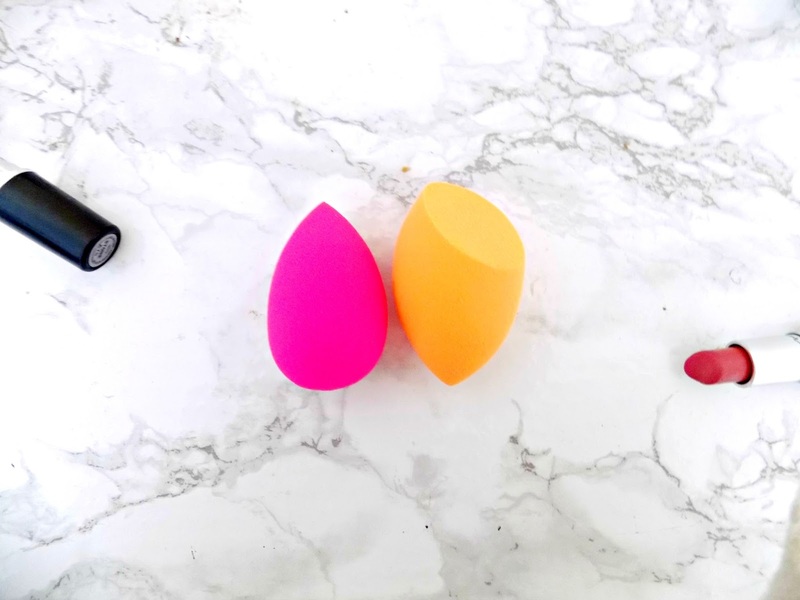 Like the Beauty Blender its also designed to be used damp and in the same bouncing motion. Real Techniques also recommend that the pointed tip is for more precise makeup application / blending, for problem areas such as blemishes. I didn't find that this was as soft as the Beauty Blender, and it didn't bounce on the skin as well. But it did blend my foundation in seemlessly, although it does require a bit more work than the Beauty Blender. But after I was left with a flawless, dewy base. This also sheers concealer out more than I like. Both are very similar and both do a very good job at blending in foundation. Although I think the Beauty Blender just edges it. The finish is ever so slightly more flaweless and easy. But in terms of price the Real Techniques Complexion sponge is far more affordable. So if you have the spare cash then yeah the Beauty Blender is the one to go for. But the difference between them is so small - the RT offering is no disappointment! 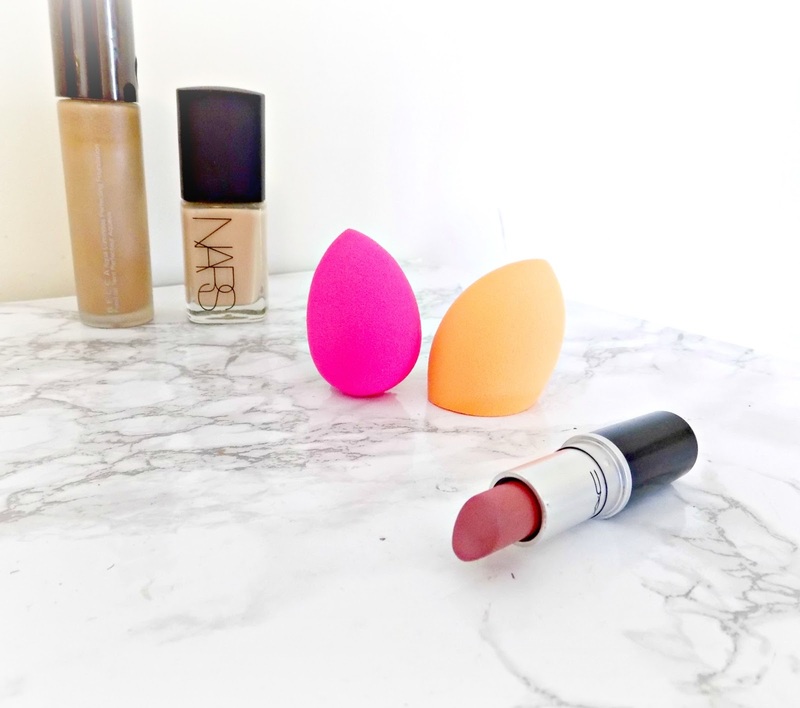 Side note - I do enjoy using both the Beauty Blender and Real Techniques Complexion sponge although, I didn't find them life changing and still prefer a brush over them both. Although they are both great for fuller coverage, matte foundations that I sometimes find drying.